Jen - My New Favourite Product! I love Paula's Choice and have used her products for years. But this Niacinamide Booster has now become my most favourite and essential product out of everything I use! Just two drops per night has left my skin super smooth and refined. Please don't ever stop making this! I use this product in the evening and it leaves my skin glow, moisturised and soft. the pipette is very helpful in administering the right amount. 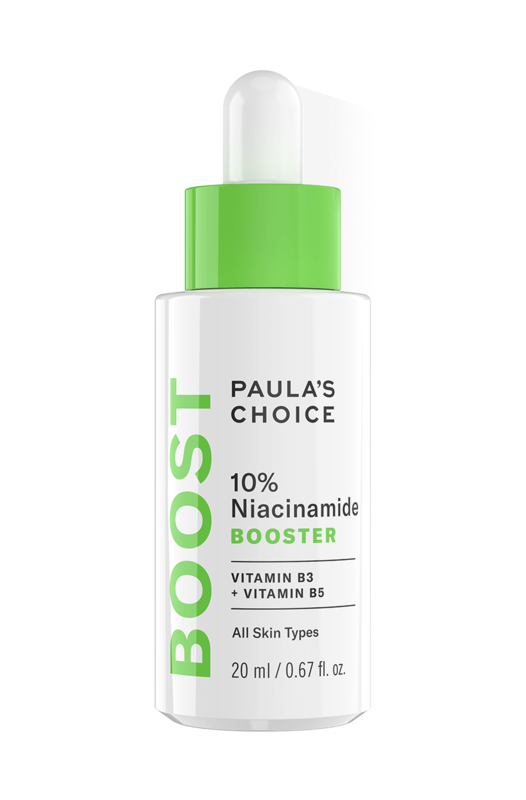 I suffered from acne for years and after a prescription retinol my acne cleared up but i had a lot of red marks from acne so i bought pc 10% niacinamide booster and it helped my marks alot but now i want to buy c15. Peony - Smaller pores ! I have fairly large pores on the side of my nose which definitely needed primer before applying foundation otherwise those pores really show up when foundation is applied . 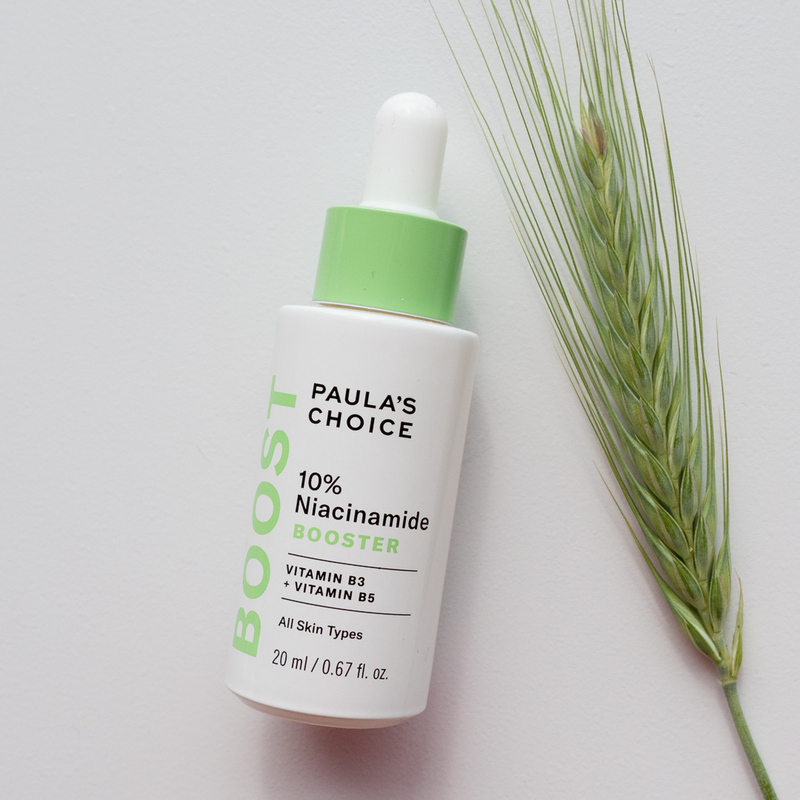 So I thought I would give this booster a try ...at first I used it on its own without mixing with a moisturiser , it stinged my skin a little so I stopped using it , after a while I decided to give it another go but second time round I mixed a couple of drops (it's very watery in texture ) with the paula's choice barrier repair moisturiser and it didn't sting at all . I only use it at night, after a few weeks I started to notice that my pores were looking a lot smaller !!! Although it is a very small bottle a little goes a long way , I find that one drop mixed with two pumps of the moisturiser is really enough for the face and neck . paula's choice products have been a game changer for me , from having almost perfect skin throughout my 20s I started getting breakouts due to hormonal changes (I'd stopped taking the pill at 30) there were deep painful cysts and spots continually popping up ... but after going to doctors asking for help (prescribed retinoid) I also did a little research myself and stumbled upon paula's choice website and bought both her books . After reading them I realised I was putting too much alcohol products on my skin which made the breakouts even worse ! I now only use fragrance free alcohol free products ! Hard to find so most of my skin care is from paula's choice ! I used to wear bare minerals blemish remedy foundation which is quite heavy coverage then I progressed slowly to the bare minerals original and now I'm just using CC cream and only where it's needed and it's all thanks to paula's choice ! My skin still has a while to go yet to being as great as it was in my 20s but it's getting there ! Thank you Paula ! Only wish she had a store here in the U.K.! Although I agree with the other reviewer that there should be a sample bottle of this booster for people to try as the sachets are really annoying especially if the product is very watery as in this case and also if it was in a smaller bottle you can take it on holiday with you ! Used a whole bottle and didn't notice any difference to my skin whatsoever. Still searching for a product that WILL actually have an effect on me; my skin seems to be immune to everything! Customer Care: Thank you for your review. We are sorry to hear that you have not seen the desired results when using this product. Please contact our customer care team for an alternative product recommendation. I get on really well with skin care which has niancinamide listed as an ingredient. I like the Olay products which have them listed within the top few and notice a difference so I was really interested to see that PC offered it in more of a purer form. I ordered two sachets. The consistency is that of water. A clear colourless and odour free liquid. I applied it directly to my face. It didn't feel of anything given it's consistency - so I added my usual moisturisers. The thing with these - is - you don't get enough in a sachet to be able to comment really - you'd need to order about ten. It would be better if it was offered in a smaller version of the large. I wouldn't purchase this for £38 without a decent trial size and there aren't enough reviews listed with people's thoughts. I've given it three stars as I'm neutral.